Some of the other advantages of this centre include a professional reception team, 24/7 security, office cleaning and kitchen assistant. Here, you are sure to have an excellent communication platform with your chic office and holistic lifestyle within this prestigious location. In addition to all of this you will have excellent public transport links, just 5-minutes from the metro and metrobus station and 15km from the airport. This turnkey workspace solution comes fully furnished, with well designed private, co-working and virtual office options. There is a beautiful and welcoming reception area with friendly reception staff and fully equipped meeting rooms where you can host your guests and make successful meetings. If you enjoy working outside, you can soak up the sun or socialise with other professional minds on the private terrace area. Also, within the vicinity, you will fine Istanbul Justice Palace Caglayan Adliyesi, Trump Towers, Istanbul Cevahir Shopping Mall, Radisson Blu Hotel and Beytem Plaza. You and your visitors will also benefit from convenient access to Atatürk Airport airport which is just 20 km away. 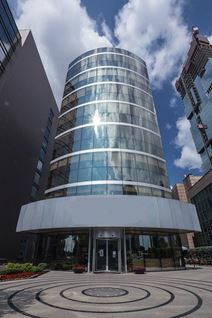 This centre in Akasya Acibadem provides well equipped, fully furnished and highly sought-after office suites that feature a number of exceptional value and high end facilities, all contained within a luxurious and prestigious business address; renowned for professionalism, innovation and productivity. The surrounding area is packed with green spaces and a variety of facilities including shopping opportunities. Offices are fully furnished with high quality furniture and have beautiful sea views. The building is very modern and decorated with bright colours, wooden flooring and modern art. There is air-conditioning and climate control ensuring your working space is comfortable all year round. The centre is located on the Asian side of Istanbul just 6km from Bosphorus Bridge, with convenient access to many facilities including clothing stores, restaurants, cinema, social activities and green spaces. Located on Istiklal Street, Taksim, one of the most popular and central locations of Istanbul, visited by one million people every day, you can have a very prestigious advantage whilst holding meetings with local and overseas customers in the specially decorated meeting rooms and lounge area. Your business clients will have immediate access to a choice of hotels and there are a variety of luxurious bars, restaurants and entertainment venues where you can wine and dine after your business meetings. In a mixed-use campus area, this professional and modern business centre provides a mix of shared and private flexible office solutions and with a location with great access to transport links the centre of Istanbul can be reached within quarter of an hour, without having to pay city centre rent. In addition, businesses can benefit from 24 hour access and IT support so that your business can run as efficiently as possible. 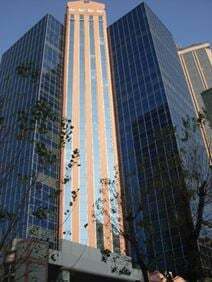 This modern office tower offers large working spaces to accommodate companies of any size, a business lounge, meeting rooms, secure parking areas, 24/7 CCTV monitoring, vending machines and is equipped with advanced technology and the Internet. The building enjoys a strategic location in the heart of the banking and business district of Istanbul, with easy connection to the highway, the underground and the international airport. 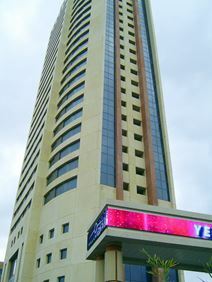 Popular offices, luxurious hotels and restaurants, bars and a shopping mall are located in the vicinity of this building. Offering modern and contemporary office space in the heart of Istanbul, this business centre offers excellent amenities and in-house services including high-class security systems, fibre optic internet connectivity, professional building management and cleaning services. With indoor parking facilities and easy access to major roads in the city your commute to work is made easy. The centre is also well connected with plenty of public transport links right on your doorstep. Providing beautiful views over Istanbul's CBD these fully furnished executive office suites and open-plan office spaces are located within a stylish glass office tower close to the Metro station allowing for quick and easy access to the whole city. The space provides IT support for its offices, ensuring that companies' operations stay well connected throughout their occupancy. It is also accessible 24/7. Located in the Asian side of Istanbul, this business centre is set in a tower within a new project, which offers a full range of facilities and services, including flats, health club, huge shopping mall, movie theatre, numerous restaurants and cafés. The business centre consists of offices, meeting rooms, business lounge area, 24/7 CCTV, secure parking facilities, fast internet connection and a cybercafé. The project enjoys a key location, at the intersection of 2 main highways. Conveniently close to the E5 highway, allowing for quick access to Istanbul's CBD, this contemporary office space is set within a modern multi-purpose building that offers a mix of private and co-working office space ideal for businesses across all sectors. The centre's immediate area offers many options with which to accommodate clients, such as restaurants, cafes, cultural attractions and events spaces. 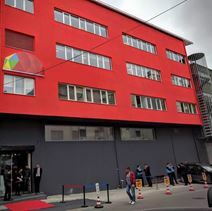 Be a part of a big family of entrepreneurs, freelancers, and companies at this collaborative workspace within walking distance of the Sanayi underground station and is set within a transformed 50-year-old confectionery building. These innovative and refreshingly unique centres offer a range of professional amenities including air conditioning, 24-hour access and security, spacious meeting rooms, fully furnished office suites and secure on-site parking. This building, situated in the Nisantasi district, in the heart of Istanbul, enjoys a key location, surrounded by luxurious hotels, restaurants, bars and shops. Within the immediate area, you can also find many attractions, such as sports stadiums, a museum and event spaces. This is the perfect work space solution for those anticipating frequent travel. There are also telephone answering services to help enhance the efficiency of your operations. A unique opportunity to rent high standard working spaces within a modern style building, centrally located in Istanbul. These office spaces are bright and fully furnished. The building, served by 6 lifts, offers an elegant and impressive reception area and is surrounded by café, restaurants, and amenities and is served by underground routes. You can take advantage of the space's administrative support and 24-hour access. Occupying a stylish tower, this brand new serviced office centre provides a range of office spaces, along with a host of business support services. The centre is conveniently close to retail, restaurants and the airport. Istanbul is a maritime hub, making it a great location for companies involved in import/export as it operates a thriving container port connected to the railway network. Bulk carriers of iron ore, oil, grain, liquid natural gas and coal are exported from here, along with food and drink, textiles, rubber, chemicals, electronics, glass, machinery, automobiles and trucks. With beautiful, modern interior design this business centre is just on-minute from the Metro station in the heart of Istanbul. Private office options range form one to 25 people while a coworking space is also available for those that wish to collaborate. Here, you can also benefit from administrative support and conference facilities. The Ataturk Airport is an easy 28km drive away; perfect for businesses with international operations. This centre is an excellent workspace solution that accommodates the greatest demands of forward-thinking businesses that value practicality, efficiency and prestige. Conveniently situated at the heart of Istanbul on a major avenue, this business centre offers 9 fully furnished office suites (2-4 desks), as well as business support services, virtual offices and meeting rooms. Walking distance to local transport links and shopping malls. This centre will leave a lasting impression among your partners, colleagues and customers. This business centre enjoys a prime location in Esentepe, a thriving commercial hub in Istanbul, with good transport connections. It offers a peaceful and professional atmosphere with its classy interiors, and is serviced by a professional staff. There is parking onsite, copy and printing facilities, administrative support and 24-hour access. This prestigious building consists of first-class office spaces, elegantly furnished, provided with meeting and conference rooms and technologically equipped to offer a highly efficient working environment. These office spaces are provided with first-class support services and benefit from an excellent location, right in Istanbul's business district, which hosts companies, banks and other amenities. This is a brand-new development which features four towers and a major shopping mall. The centre is located on one floor of a tower, and offers a range of solutions to fit the needs and budget of your business. There are also copy and printing facilities as well as 24-hour accessibility, parking facilities onsite and support services. Located in a prime area of Istanbul, easily accessible from all areas of the city. With public transport directly next to this business centre, the city airport can be reached within half an hour. 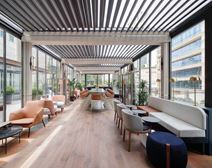 The historic 13-storey office tower offers a sought-after address and a mix of shared and private flexible office space on one of Istanbul's major arterial roads. There are meeting rooms and a business lounge available for you, and you will have 24-hour access to the centre. Within 5 minutes walk, you will find restaurants, cafes, a gym, pharmacies and a number of parks. This serviced office centre is at the heart of a thriving business district of Istanbul, home to many international corporations. A convenient location and a professional, friendly environment make this the ideal address for your business's Turkey base. It hosts an impressive selection of amenities, such as meeting room access, IT support, high-speed internet and videoconferencing facilities; accessible 24/7. This is an enviable location with a prestigious presence. This centre is close to Ataturk International Airport, and a short drive from various shopping malls, perfect for those with both local and international clients. These are high quality serviced offices in a strategic address. Ready for immediate occupation, your business will surely benefit from this turnkey solution's high-speed internet, meeting rooms and support team. Located in the heart of Levent, this business centre creates and promotes a progressive business atmosphere, thriving on luxury, community spirit and focuses on comfort. The building offices 120,000 square metres of rental space, offering various work spaces including coworking areas, instant offices and unfurnished floors which you can customise to your own liking. The building is found in a premium location, with plenty of local amenities to benefit from. This is the ideal workspace for businesses that value convenience, comfort and unparalleled services. This modern serviced office facility is close to restaurants, cafés and more. Set in Istanbuls central business district, this centre provides a range of workspace solutions, and a full selection of services to support your business needs. It is close to the airport (20 minutes away); ideal for frequent flyers and for companies with international contacts. Strategically located in Istanbul's European quarter, this impressive building benefits from one of the most prestigious business locations of the city. These offices spaces are furnished and decorated to a high standard and equipped with the latest technology solutions. Within walking distance of Istanbul's most famous streets, they are surrounded by numerous leading companies, hotels, restaurants and a variety of amenities. This well-equipped and flexible centre provides a range of serviced offices and workspaces in a prestigious location. Private office suites, hot-desks and virtual offices are all available for immediate occupation on flexible terms. A host of local amenities are close-by, including a popular shopping mall. There are many local transportation links at close quarters to the centre. You can enjoy museums, art galleries and many local hot spots outside of work, all within walking distance. 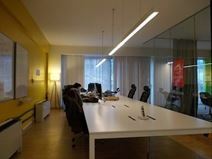 Found in the city of Istanbul this business centre provides excellent quality innovative, and fully equipped workspaces. You can stay connected with high speed internet, benefit from complimentary refreshments and make use of meeting rooms that are fully video conferencing enabled. Flexible terms allow you to take a package that suits you and your workspace needs. Located near a large junction the centre is easily accessible by road with car parking available nearby. Buses also pass through the area frequently. Within the building there are 3 floors of office space available covering 1500 sqm. The office space is fully furnished, provides 20 mbps fibre internet, photocopy, fax and printer services so is readily available to move into. This centre is located next to Kartal Courthouse on the Asian side of Istanbul and is easily accessible within 15-minutes of Sebiha Gökçen Airport. There is also a local gym where you can take the stress of the day. This is a highly sought-after space owing to its prime location. It is surrounded by cafes and restaurants with an abundance of local transport links, making commutes a pleasure. These prestigious towers are located in Kartal, and offer a range of serviced office solutions, as well as virtual offices to suit your needs. The building features air conditioning, conference facilities, an impressive reception area and secure parking provision for all occupying tenants. Ideally situated minutes from the city courthouse, in Istanbul's legal sector, this flexible workspace is perfect for anyone working in the legal industry. This space is set within an impressive curved glass building that provides a range of great facilities including meeting rooms, an on-site fitness centre and convenient parking. 10 minutes away, you can find Tozkoparan Peace Park and 75. Yıl Parkı. Combining magnificent views of the Bosphorus, a calm atmosphere, spacious office rooms and Turkish hospitality, this business centre is located in Asian Istanbul next to the Altunizade business district. This centre offers open and closed car parking, fitness centre, cafe, convenient road and public transport links, next to the underground station, five minutes to Marmaray, Bosphorus and ferry, and has easy access to all parts of the city. This cost-effective serviced office space is within walking distance of the Metro Station in an area that provides a wide mix of both domestic and international companies in Turkey"s fastest growing economy ranging from start-ups to global brands. A formal boardroom that seats up to 18 is also available for use. Office space comes with daily cleaning services and they have 24 hour access 7 days a week. With a fully working reception that are happy to greet your clients and a fantastic meeting room, this centre has everything you need to grow and develop your business. Extensively refurbished to provide boutique, fully furnished, spacious offices that range from one person, 2-5 or 10-25 people this historical building provides superb unbranded offices as well as co-working space and kitchen facilitates. You can take advantage of the centre's breakout/lounge space, photocopying services, receptionist and fantastic location. The surrounding area offers many eateries, shops, hotels and suppliers. In addition, 10 minutes away, you can reach the Mustafa Ayaz Museum and Plastic Arts Center Foundation. These tailor-made custom serviced offices are located in Levent, one of the main business districts of Istanbul and are ideal for businesses who are scaling up or down. Ideal for creatives seeking a collective, community environment. On-site amenities include a professional and impressive reception area, secure parking provision and hotdesking capabilities. The centre is easily accessible via public transport or car, and offers easy access to corporate HQ's and financial institutions. This business centre is located on the European side of the popular city of Istanbul, where there is a modern reception area where you will be greeted by the professional receptionist. There is an on-site cleaner ensuring the immaculately presented office space is always kept clean and tidy. The office is accessible 24-hours a day and has 24-hour security, so you can work on your time with peace of mind. You will have excellent transport links being just one-minute walk away from the Gayrettepe Metro station and just a three-minute walk from Zincirlikuyu Metrobus station as well as having immediate access to local bus stops. Bohazici Bridge is located just 3km away and FSM Bridge is just 4.5km giving you access to the Asian side of the city. This well presented building is sure to fill your business needs offering a variety of personal, shared and group work spaces in this prestigious location. The office is accessible 24-hours a day and has 24-hour security with a card entrance system. This centre is perfectly located in the heart of the city, directly next to the popular Kanyon shopping mall in Levent, one of the busiest districts of Istanbul. If you are looking for a suitable office in a central location, you are in the right place. Perfectly located in Istanbul, in an area crawling with luxurious hotels and restaurants, and within walking distance of the seaport and railway station, this centre offers fully furnished office spaces. These spaces are provided with a full range of services to help you run your business and are available at a very convenient price. This centre offers exceptional quality, ground floor office space in the renowned Maslak area of Istanbul. The suites at this site are fully furnished, serviced offices; complete with premium facilities and high quality equipment available for tenant use. Featuring amenities such as breakout space, conference facilities, secure parking and hotdesking; this centre benefits from an abundance of natural light to its interior workspaces as well as excellent local transport links. This centre offers well-equipped serviced offices in a comfortable atmosphere conducive to good business. The centre is at the core of the city's financial hub, with excellent transport links and close to shopping malls, sports clubs and hotels. You can benefit from 24-hour access, with state-of-the-art technological equipment to enhance your business. There are eateries in the same building, including the iconic Icebar Istanbul. There is an immaculate and spacious foyer where your clients will be greeted by the friendly and professional reception team, with comfortable seating areas and breakout space. The offices are all uniquely decorated and feature large windows which provide an abundance of natural light. For your overnight business stays you will find a variety of local hotels located in the surrounding as well a choice of three local shopping malls where you will find shops, restaurants and bars to help fill up your lunch break. A brand new business centre will soon be opening in the heart of Istanbul, an ideal commercial location where Europe and Asia meet. This is a prime business location, which hosts banks, offices, shops, restaurants and cafes. The centre is modernly designed and consists of sophisticatedly designed offices and meeting rooms which offer a highly professional working environment. There are also event spaces close by where you can host conferences, conventions and presentations. Located in the centre of the European side of Istanbul, this centre is easy to access by car and public transport. The centre provides high quality offices at flexible prices. These are fully furnished and equipped spaces, with all services included in the monthly rent. This is a friendly and professional business environment that prioritises efficiency, comfort and practicality. There are lots of restaurants at close quarters to the space, as well as cafes, bars, retail stores and hotels. Occupying a stylish building close to Sisli Square in the heart of Istanbul, this business centre offers turnkey and customisable office space with access to amenities, as well as an on-site support team. The offices are fully equipped, air-conditioned and secure, ensuring your operations are run smoothly within a comfortable, well decorated atmosphere. The business center is located close to the headquarters of many large companies, and is very accessible by all means of transportation owing to its central location. Surrounded by strong transport links, this stylish, contemporary office space has a wide range on amenities on offer that include a spacious lounge area, 24/7 security system and an x-ray and card system. In close proximity to prestigious hotels, restaurants and cafes. For easy access by car, there are secure, on-site parking facilities provided. It is only 80 meters from the Kozyatagi Metro Station. Sitting among reputable commercial enterprises on Taksim Square in the centre of Istanbul, this business centre enjoys excellent access to public transport and the airport, as well as lifestyle amenities. Here, you can take advantage of 24-hour access, IT support, well-designed breakout/lounge spaces and a diverse business community, including players in the finance, healthcare and oil sectors, with which you can network. Close to several 5-star hotels, as well as many excellent restaurants, this unique serviced office facility provides everything you might require. A range of spaces are available in this lively collaborative business environment. Rooms are fully customizable to suit your needs. In addition, you can take advantage of 24-hour access and security. There are also many excellent restaurants in the immediate vicinity, as well as 5-star hotels. This well-designed space is accessible 24/7, with facilities, such as impressive meeting rooms, all included in its price. Your well designed workspace can also benefit from the outstanding on-site secretarial service at any time. In addition, there are many public interest hotspots within the centre's locality in which you can entertain clients or explore outside of work. This includes the Fransız Sarayı landmark just next door, as well as the Garaj İstanbul concert hall 3 minutes away. The offices overlook the Bosphorus, and are decorated and equipped to the highest standards. This centre enjoys an admirable location in the most vibrant part of the city. With world-class furnishings, a range of business support services, and flexible terms, this stylsih centre is perfect for any business. This location is unbeatable in terms of social life, businesses and residential. You can reach Ataturk International Airport within 30 minutes and subway is only 4 minutes walk. 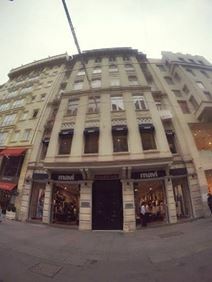 This centre is situated in the heart of Istanbul, within walking distance of many popular restaurants and shops. This is a historic office building offering modern serviced office space, available for immediate occupation. These modern serviced offices are ready immediately, with high speed internet, dedicated company telephony, comfortable breakout space, hot-desking and secure parking available at your disposal. This business centre is located in the district of Galata in Istanbul, in a busy and bustling location. The surrounding area has plenty of local amenities to offer including shopping, restaurants and cafes. Meeting rooms and private offices come in a variety of sizes suited to meet teams of any size, and are customisable to suit your decorating tastes. The centre also offers accounting and law services to members. Coworking spaces are available, with internet to keep you connected and working efficiently. Part of a business park that consists of various low-rise buildings. There are various cafes and restaurants on-site for convenience; while you are close to the centre of Istanbul and surrounded by companies involved in oil, finance and tourism. The services at this fantastic centre include 24 hour access and security, IT support and dynamic meeting rooms for collaborative projects and training seminars. Just 10 minutes away by car, you can find Şelale Park and Fatih Sultan Mehmet Parkı. At Kahan Taksim, the business centre is at the heart of Istanbul. Ideal for SMEs and start-ups these fully furnished and equipped offices come in a choice of private or open-plan spaces. There is a wide choice of alternative packages for services and amenities for your convenience, and to satisfy your business needs and budgetary considerations. It gives you the ultimate in flexibility. The centre has solutions for start-ups, small/medium sized companies and investors planning to enter to the Turkish market. The offices come fully equipped with high quality furniture, high-speed fibre internet and photocopy, fax and printing services. There is a communal kitchen which you can utilise and an on-site cleaner ensuring the building and offices are kept clean and tidy at all times. Sabiha Gökçen Airport and Atatürk Airport are both within 39km and Boğaziçi Bridge is just 20km away giving you access to the other side of the capital city. This building is situated in a prestigious area on the Asian side of Istanbul. This is a modern business centre offering fully furnished office space, meeting rooms and more. With great panoramic views over the city, this is an enviable location for any business- it is the perfect solution for businesses that value practicality, prestige and comfort. Office spaces are available for immediate occupation. This Altunizade-based centre is found in the Asian side of Istanbul and is only 10 minutes from the middle of Istanbul. The centre provides on-site parking and access to a variety of close by restaurants and retail opportunities, perfect for entertaining clients. While Altunizade offers everything you need, you’re close to other popular areas, including Kadıköy, Üsküdar and Bostancı, areas full of commerce. Located in Ataşehir, the new centre of the financial world, these office suites are strategically located, with beautiful penthouse offices and meeting rooms and magnificent views of Istanbul. The meeting rooms available that you can make use of, the largest of which can fit up to 22 people and has a comfortable lounge area. There is a communal kitchen with an assistant and an on-site cleaner who ensures the building and individual offices are maintained and cleaned to a high standard. Here, your clients will be greeted in the immaculate foyer by the friendly and professional receptionist. Conveniently located in one of the most prestigious business addresses of Istanbul, this brand new building offers an elegant reception area and a selection of offices of various sizes, excellently serviced and equipped with first-class facilities. These office spaces benefit from a strategic location in an area which is rapidly developing. Surrounded by leading companies, offices, restaurants, luxurious hotels, shops and numerous amenities, this building is well connected to the 2 airports and is served by numerous transport links. This highly adaptable, mixed-purpose building comprises a number of types of space, including retail venues and residential installations, as well as corporate workspace. There are also conference facilities for collaborative projects, and an on-site management team who are happy to assist in operations to keep your business running as smoothly as possible. With IT services, you can stay well connected, on top of the dedicated internet provided. This highly accessible centre is located in a stylish tower and offers spectacular views across Istanbul. This is a stunning piece of architecture that is sure to impress your clients. Close to all amenities and transport connections, this centre is a pleasure to commute. Here, you will benefit from an on-site management team, 24-hour access and much more. Within the immediate area, there are lots of local amenities to explore and enjoy. Only five minutes from Fatih Sultan Mehmet Bridge and Bosphorus Bridge, and next to Kanyon Mall this serviced office space provides option for one person to 25 people. There are also co-working spaces available. There are also a variety of administrative and receptionist services, which are made available to occupying tenants on an inclusive basis. This centre is perfect for forward-thinking companies that value convenience and well-designed spaces! 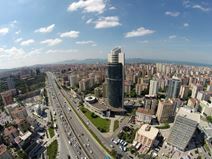 This modern and well-connected centre is part of a developing business region in Maltepe, Istanbul. It offers numerous in-house facilities, ideal for corporate operations. These amenities include high speed internet, meeting rooms and conference facilities to keep your business well connected. It is located very close to fantastic shopping centres and restaurants on Kartal-Kadıköy metro line, making it a prime location in which you can explore and keep clients entertained. This centre provides flexible and premium office space within a large and impressive landmark business centre in the thriving commercial district of Şişli, Istanbul. The building is fully furnished and equipped with a range of state-of-the-art amenities including conference facilities, training rooms and breakout space; within both private and co-working office space options. The site is easily accessible, benefits from excellent local transport links and is in close proximity to a number of shops, restaurants and hotels. This business centre is located at the intersection of two main highways, with a large shopping centre and hotel within easy walking distance. The centre offers fully furnished office space in a comfortable business environment. In addition, you will benefit from 24-hour security, reception services and access to training rooms. Less than 10 minutes away by foot, there are parks and gardens where you can relax. This Class A office space is situated in one of Istanbul's most popular business districts and benefits from great transport links with the underground just a couple of minutes away on foot. Furthermore, the centre is accessible 24 hours a day with round the clock security, with administrative support, IT support and parking on-site to make commutes by car as simple as possible. Businesses can benefit from the site's buzzing atmosphere and high footfall. Situated in the core of Istanbul's prime Beyoglu business and entertainment district this building is a great example of Art Nouveau architecture while inside the serviced office space is modern and has been completely renewed. The shuttle to Ataturk and Sabiha Gokcen Airports arrive every 30 minutes from Taksim Square, making it a centre with an ideal location for companies with international clients. The building itself also boasts unique and striking architecture, allowing it to benefit from an abundance of natural light within its interior workspace. This prestigious business address provides companies with quality secure office space, fully furnished and ready for your business. The centre is easily accessible by road and provides secure parking facilities for both clients and visitors on a consistent basis. Ideal for start-ups and SMEs, the office suites available on site provide a significant degree of flexibility, with both layout and occupant furnishing options variable to specific client requirements; meaning that tenants can easily adjust and arrange the office facilities with their own belongings to create the ideally productive working environment. The transport links surrounding the building are excellent, and the centre is easily accessible by car. This office is located within Turkey’s capital city of Istanbul, in a historic building has been completely renovated and has 13 spacious offices which are accessible 24-hours a day. There is on-site parking available, as well as an IT Support team who will assist with all of the setups and any IT issues you may have. At this location you truly have everything you need to make a this a home for your business. 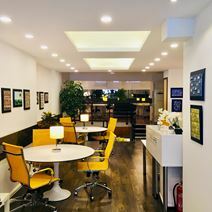 These lovely offices are situated in the prestigious Anatolian Side of Istanbul, close to road links and public transport connections. Various hotels are close-by, as well as cafes and restaurants. This comfortable and efficient centre offers 23 offices, along with meeting rooms, lounges and more. Also there is a Carrefour Supermarket at 3km distance. You can reach the subway or 5 stars hotels by walk. Located in the city of Istanbul, this business centre is beautifully designed with modern and ergonomic furniture. Fully equipped with everything you may need, the spaces are ready for you to use as soon as you move in. Bespoke packages are offered to offer you flexible working, ensuring your workspace is as agile as your business. Meeting rooms are also readily available and easily rented out by the hour or on a daily basis - they come fully equipped with video conferencing facilities. Other amenities include complimentary refreshments throughout the day and support services. 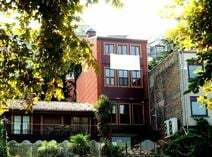 This is a great location, close to Bakirkoy Courthouse, close to a gym, hotel, bank and more. The centre is also near to the largest shopping mall in Istanbul, and provides a motivational work environment, with ready-to-use offices and kitchen facilities, available now. With administrative support, parking provision, high-speed internet and banking services available, your business ill operate efficiently here. This centre is located in a tower designed by architects Swanke Hayden Connell and is next to the Palladium Shopping Mall. There are a variety of furnished and flexible spaces available as well as an on-site canteen and various retail spaces. 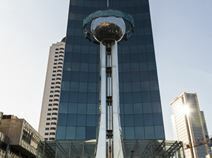 It is located in Batı Ataşehir, adjacent to TEM and E-5 Highway and next to Palladium Shopping Mall. Alternative routes with connection to metro, metrobus and Marmaray lines and easy access to both bridges. 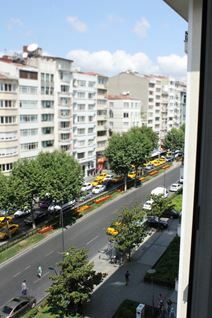 This highly commutable centre is conveniently located in Beşiktaş, close to lots of transport links and local amenities. This centre features high-speed internet and beverages to create a comfortable, well-connected work environment that encourages motivation and collaboration. There are support and cleaning services available, as well as meeting rooms and virtual office options. The surrounding area has plenty to offer, including a range of cafes and restaurants. This business centre occupies a cleverly designed building that is sure to impress your clients and competitors. Offering a range of office spaces on flexible terms, this centre is located on the Asian side of Istanbul, close to shops, restaurants, hotels and many other amenities. Here, there are copy/printing facilities, high-speed internet, meeting room access and conference facilities to use at your disposal. Situated on the European side of the city, this historic building is host to many events such as Istanbul Design Biennial, International Istanbul Music Festival and Akbank Jazz Festival. It also has a number of state-of-the-art offices that will leave a lasting impression on your clients. Here, you will benefit from a comfortable work environment that inspires and motivates. It is close to many transport links, making it easily commutable. This is a prestigious location, close to the airport and just 30 minutes from the centre of Istanbul. As well as quality serviced office space, this centre offers a comprehensive range of support services, including legal support. Here, you can benefit from 24-hour access and security, administrative support, fitness suite, banking services and beverages. Less than 10 minutes away, you can reach many hotels where you can accommodate your visiting clients. This is the ideal workspace solution for those with international contacts, and for forward-thinking companies that value practicality, functionality and convenience. A 10-minute walk Osmanbey metro station and only one stop from Taksim Square this workspace is located directly in the heart of Bomonti and has solutions for start-ups, small/medium sized companies and investors planning to enter to the Turkish market. 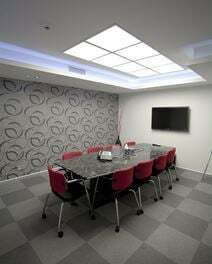 Meeting rooms and a full range of professional and secretarial services also available. There is also access to a board room for negotiations, training seminars and collaborative projects. This attractive centre has a choice of common areas which are all beautifully decorated and have many fantastic benefits which are included in the rental price such as unlimited tea and coffee, reception services, printer, copier and faxing facilities, kitchen, cleaner, air-conditioning and 24 hour security. This centre is located on Bagdat Caddesi high street, which is one of the most valuable locations of Istanbuls Asian side. 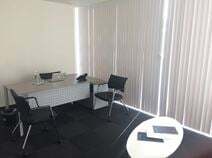 Found in a great central location of Akaretler, this business centre offers excellent working areas that provide you with a professional and comfortable space to work. All work spaces benefit from in-house secretarial support, access to meeting rooms and office support services - regardless of which membership package you have. 24 hour access allows you to work at your own pace, whenever you want, and excellent public transport links allow for easy access to the centre. This tower building is built in horizontal blocks with beautiful gardens and spectacular views of Bosphorus. There is a beautiful foyer area where you clients will be greeted by the friendly reception staff and there are meeting rooms available where you can host your business meetings. There is also a photocopy, fax and printer services available. This centre has direct access to the highway and Boğaziçi Bridge is just 5-minutes away giving you access to the other side of the city. Situated in a growing business hub in Istanbul, this centre is based on the seventh floor of this imposing skyscraper, and offers stunning modern office accommodation to suit your business requirements. IT support is provided at this centre. With great views over the sea, this centre has all you could need. This wonderful centre is perfect for those anticipating frequent travel. It just just 32km from Ataturk Airport. This prestigious Istiklal Street location provides serviced office space ideal for up to eight people. There is also a meeting room that can accommodate up to seven while a range of public transport links are only 150m from the building. Features include water and electricity consumption of offices and common areas; cleaning and maintenance of offices and common areas; 24-hour access monitoring, concierge, surveillance and security 365 days a year. Located in Istanbul's main commercial district, this office is the perfect home for many companies with its luxurious office areas, Golden Horn and historical cityscape. Your company can benefit from the luxurious and fully equipped meeting and seminar rooms where you can make professional meetings as well as trainings and seminars. Other benefits include an on-site cleaner, air-conditioning, car parking, outdoor terrace area and reception services. This quality office facility is situated in the heart of Istanbuls financial district, and provides an impressive business environment designed to promote collaboration and networking. A range of spaces are available on flexible terms. This unique and impressive office facility is the first designed specifically for mobile workers and for those who share the idea that it is possible to work or meet in a different way. This impressive building features beautifully designed workspaces decorated with art. It has support services as well as cleaning support for your convenience. In addition, there are lots of benefits at this space, including copy/printing services, secretarial team, 24-hour access and security, and IT support. The centre is close to a range of public transport links, and is just 15 kilometres from the airport. The surrounding area also has a great selection of shops, cafes and restaurants to enjoy. You can sign prestigious deals with your customers in the boutique meeting room whilst enjoying a stunning sea view. At this unique co-working space, green and blue are integrated with history where you can work in flexible and shared offices and host your guests in the traditional café and lounge areas. Just 2-minutes away you will find local bus stops and you will be just 1km away from Karaköy, one of the oldest and most historic districts of the city and the commercial center and transport hub. You also have easy access to Eminönü ferry which is just 2km away. This building, located in Kurtköy, one of the rising regions, has been a base for many large companies including Pegasus airlines and Netas who are the Turkish leading telecommunication infrastructure provider. Here, there is a friendly reception team who will greet your clients and assist with any admin duties such as telephone answering and mail handling and an on-site cleaner who looks after the building on a daily basis. There is a choice of local parking within walking distance so if you prefer to travel to the office by car, you can park close to the office. This serviced office provides a range of furnished spaces for one to six persons, available immediately. This is an excellent location, just moments from the international airport, and close to hotels, shops and taxis. Within the centre, your business can take advantage of a fantastic selection of amenities, including 24-hour access and security, on site parking, support services and meeting rooms. Occupants can enjoy beautiful views of the Sea of Marmara from a terrace on the exterior breakout areas and lounges included in this luxury coastal site. This centre's high quality amenities include spacious meeting rooms, a kitchenette, 24-hour security, on-site management, reception services with high quality furnishings. There are also excellent public transport links in the area, with various restaurants and cafes surrounding the centre. This centre is located in city centre of Istanbul, in the middle of two highways, just 100 meters from the metro stations and other public transport options. The centre is surrounded by world renowned restaurants and shopping centres all of which are within walking distance. The centre has single office units, adjoining double cluster desks and a large shared, coworking space. Also it has single offices, adjoining double cluster desks and large, shared office areas. With a range of serviced office space that is both furnished and modern. The on-site provisions and state-of-the-art facilities available to tenants are of the highest professional standard and include 24-hour access, spacious meeting rooms, conference facilities, on-site support and management from dedicated security and administrative teams, air conditioning, secure parking and copy and printing services. The building has a convenient location that is surrounded by gardens and close to a gym and various shopping opportunities as well as being close to Metro / Metrobus stations.